If you have checked out my new sponsors (and if you haven't, shame on you!) then you may have noticed a cool company called ShadowCase. I had the opportunity to review one of their beautiful Shadow Cases, and I am beyond impressed. I would recommend a ShadowCase to anyone who has memories that they would like to showcase. And seriously, folks, who doesn't?? BUY IT! You can purchase your own ShadowCase at http://www.shadowcase.com/. WIN IT! The nice folks at ShadowCase have generously offered to give one lucky reader their own ShadowCase Kit! Visit ShadowCase, then come back here and tell me which ShadowCase kit you will choose if you win! Follow me on Twitter and tweet about this giveaway! (Leave your Twitter name and a link) You can tweet this daily: " ShadowCase giveaway at Opinions of a Moody Mama #giveaway @coopersmommy @randrshadowcase http://tinyurl.com/38q7tbe "
What a great giveaway! My fav is the French Country Ivory ShadowCase. I love the Sage ShadowCase Kit its beautiful! I found this contest through the e-mail that you send out. I would choose the Classic ShadowCase Kit-Walnut. OH I would love a shadow case kit. I would pick the sage one if I won. I hope when you have the chance you will stop by to say hello! doreenmcgettigan.blogspot.com/they say everyone has a story.. I would choose the Modern shadowcase kit. I am now following ShadowCase blog. I am a facebook fan of Opinions of a Moody Mama. 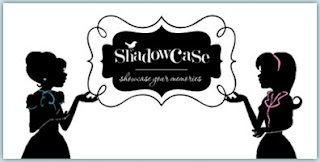 I am now following ShadowCase on facebook. I fould out about this contest in my home email. I love the french country ivory shadow case. I like the Classic Black ShadowCase. The kids' silhouettes would look great in it. 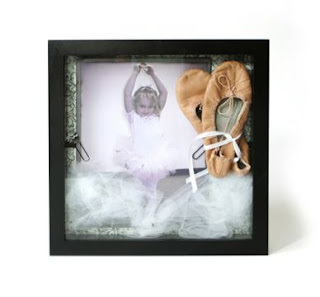 Oooh the French Country Ivory ShadowBox, these are soo precious! I'd make one for my new baby or for my wedding! I have a lot of ideas! I like the vintage shadow case kit. My favorite is the Sage ShadowCase Kit. I am following the ShadowCase Blog via Google Friends Connect. I am following ShadowCase via Twitter as jlsc123. I am a fan of ShadowCase via Facebook as Jill Myrick. Sage ShadowCase Kit is my favorite i already know what i would put in it. I saved seed packets, photos, and plant sticks from the garden my kids and I put in this year. I would choose the modern shadow case kit. I would choose the Navy ShadowCase Kit. I would get the Vintage ShadowCase Kit--Black. I'd choose the Vintage ShadowCase Kit - Alder. I would choose the sage shadow case. I would get the modern shadowcase. I found this blog through google. I'd pick the Sage Shadowcase kit - very beautiful and would match my living room! I like the modern shadow-case. 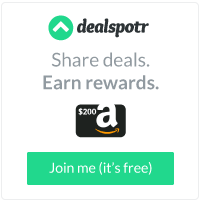 Found this contest via following you through Google reader. Voted for you on Mommies Faves Top Sites. French Country Ivory ShadowCase is my fave item! I really like the French Country Ivory ShadowCase. I love the Vintage ShadowCase Kit. I voted for you and left a comment. I like the Modern Shadow Case kit with the black and white background.